We are finally done reading Half Brother, written by Kenneth Oppel. It took us 32 readings. 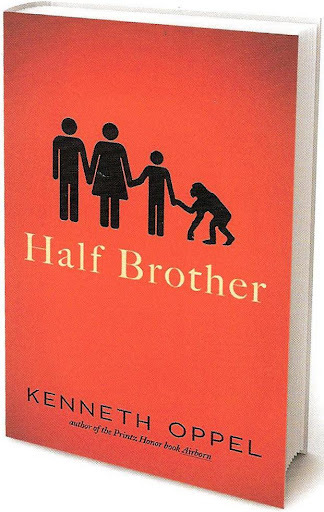 Half Brother, I thought, was a pretty good book. I think that chimps and monkeys are so cute, so this book interested me. I would defiantly recommend this book to a friend, especially if they love chimps! After reading the book Half Brother, we watched a documentary called Project Nim. Both of these were very similar but had some differences. Both Half Brother and Project Nim were about an experiment of teaching chimps sign language. In both the book and documentary, both chimps learned a lot of signs, which I think is fascinating! In Project Nim, I found that a lot of the characters were similar. In Half Brother Peter is defiantly Bill in the documentary. In both, the chimps started off in a home with a family and bit people. Both Zan and Nim learned a lot of signs and they both had to go learn is some kind of room or chair that they did not like at all. Zan had to learn in a learning chair, which he hated. Nim had to learn in a room that had no windows or anything and he always wanted to get out. They both were taught to be like a human at the beginning and then were taught to be a chimp again. But there were a lot do differences. In Project Nim, Nim liked to smoke and drink alcohol with the humans, in Half Brother Zan did not do any of those things. In Project Nim he lived with a mom, dad and many siblings. In Half Brother Zan had a mom, dad, but only one sibling. In Project Nim, Nim was a lot more mean to everyone; he bit a lot of people, even the people he really cared about. Although Zan did bit, he didn’t seem as mean as Nim did. Zan usually only bit the people he didn’t like. In the documentary they showed everything, including Nim going throught puberty. But in the book, the author didn’t tell us about any of that stuff. Overall the book and the documentary were really interesting. I think the experiment that they did was really cool. I did not think of this experiment to be animal cruelty at all. But I would defiantly recommend the book and documentary to my friends and family. I do not feel guilty for eating animals, mostly because I do not think about my meat being animals while I eat it. But if I do think about it being an animal, I do feel a little guilty. I do not ever go hunting because I don’t think I could do it. I would feel way to bad for hurting or killing an animal! But I am not against hunting, quite a few of my friend go hunting and I don’t really care if they do; unless I see the fur or something from the animals. I also feel really bad for all those animals killed in animal testing. But also I’m not so much against animal testing. Animal testing does help the health of us humans. I am against wearing leather goods and fur. I think that there are other things to wear, that do not involve killing animals. Plus they are expensive, so why wear expensive leathers and furs that took an animals life? There are plenty of other types of clothing that you can wear, that do not involve animals. But if I ever see my friends wearing animal fur or leather, I would not say anything because if they like it then that’s alright. Everyone has their own opinion. But there are people that are the opposite as me, who feel that eating animals is completely bad and we should not do it. I know some people that are vegetarians and will not eat meat or even watch other people eat meat. 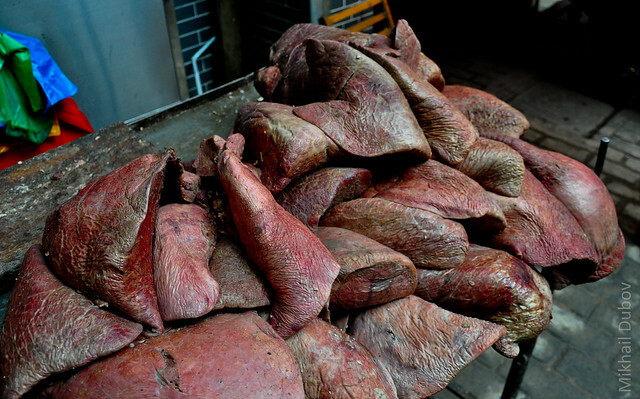 Meat gives us protein, so it’s a little harder to get protein if you are a vegetarian. Vegetarians eat nuts, soy, beans, tofu, and dairy products to get protein. But I can see how some people wouldn’t want to hurt animals, they are so cute! On a scale of one to ten, I am a 5 on this issue. I can eat meat but I do feel a little guilty at times. I sometimes wear fur mukluk’s, but that is all the animal skins I wear. I do feel really bad for wearing animal furs but I do not wear a lot. What are your thoughts about eating animals and wearing animal furs? Comment below. We just finished mid-terms, which means we are half way through the year. Then it will finally be summer. I can’t wait to go tubing, golfing and cruising in the Camaro. I also can’t wait to see my friends from out-of-town! It seems like it took forever to get here, compared to last year. Last year the entire year seemed to fly. On our first day back, of the half way point, Mr. Fisher had us to do some thinking about our exam and about goals and stuff. At the beginning of the year Mr. Fisher had everyone write a letter to ourselves, that we would open in June. In that letter we set goals for ourselves for the school year, out of school and in our life. We did the same thing last year, and it was a lot of fun to see what we each wrote to ourselves. One of my goals was to get over 80% on all my midterms. I think I did a good job at achieving my goal. I tried to study hard, and I think it paid off. On my math exam I got a 93%, 89% on my science, 91% on my social studies and 95% on my ELA. I was very pleased with my exam marks! What I did to achieve my goal of getting over 80%, is I started with organizing all my stuff, then I would read it all over. I made worksheets for myself, so I could quiz myself. My best friend Syd always makes little card with information that we need to know, and I also studied off those. I also studied with her a lot; we would go through our reviews and ask each other questions. I asked Mr. Fisher for some maps and blank worksheets that I could re-do to help me study. But there are a few things that I wish I would have done, and will try to do in future years. I wish I would have started studying a little earlier. When I get into high school and take exams, I think this will help me learn more. I also want to try to study without getting distracted. Maybe I should try to study more by myself, and maybe I won’t get as distracted. I also made a mistake this year while studying. I looked at my review and saw one thing that I was positive wasn’t going to be on the exam, so I didn’t study it. But it was on the exam, so I lost 3 marks on that. So I want to make sure I study everything in future years. But hopefully I don’t have to start this until next year. I don’t want to start this until next year because I’m hoping I don’t have to write finals. I’m hoping that I get full exemptions! If I don’t have to write my finals I will be sleeping in, go swimming, chill with my other friends that got exemptions and more. I can’t wait until June, last month of school! Mr. Fisher had us write a six word story about the year so far, since we are at the half way point. I wrote, “The school year should hurry up!” I wrote this because this school year seems to drag on. I think it is because last year I was in a class with most of my friends, and it was really fun. So this year should hurry up, then I will be in high school finally! My class, and the class from Wingham have been working together in small groups. We all had a topic to research about the book Half Brother. Half Brother is a book written by Kenneth Oppel. Which we will be starting to read real soon. My group had to research chimps. I liked learning about chimps, I learned a lot of interesting facts about chimps that I never knew before. One of the most interesting fact was that there are only about 12 000 chimps left in the world. 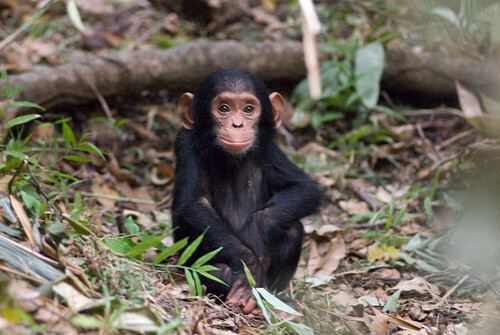 The population of chimps has increased by 4 000 very recently! Also that chimps were created about 4-8 million years ago! Now chimps are located mostly around the central part of Africa. Chimps mostly eat plant foods, like fruit, seeds, nuts, leaves and flowers. When they eat it is really messy, they shove food in their mouth, and only about half will actually go in. Did you know that chimps are the closest relatives to us humans? This is true, and I thought that was pretty interesting. I found chimps a very interesting subject to research. I found some pretty interesting facts about them. Now that we have finished giving our presentations, I can’t wait to start the book. I don’t really have any predictions on what is going to happen in the book, Half Brother. But I can’t wait to start it! We have been working with Wingham over the past weeks. We have been put into groups of four to complete a task. We are going to be reading the book Half Brother soon. So we are researching some of the thing that are going to be in it. Like poaching, chimps, life in the 70’s, animal research, animal cruelty evolution and sign language. My group had to research chimps, what they are like and anything about them. We started with working on Google Docs. Google Docs is very cool because no matter how far away you are, its just like working together in one classroom. There is a chat room, plus the doc itself. When we were working in the doc, it was very organized and easy to do. We made questions about chimps in the document, then turned them into headlines after we answered them. My group worked really well in the doc, we all got along with no arguments. Once we were done finding information, it was off to Google Presentations. Google Presentations was updated while we were working on our presentations. But since my groups was almost done all of our slides, we did not update ours. The old version (which we used) did not have a chat room in the presentation. So we just used the chat room in our doc. Working on the presentation was a little more difficult. My group members and I all had a tough time deciding how to organize the slides, and who was doing what. At first the kids in Wingham did not like the picture to fill up the full slide. But near the end, we all agreed that making the picture the full slide looked the best. Now that we are done making our presentation, we are ready to give the presentation. I am kind of nervous to give our presentation, I’m not a big fan of getting up in front of two big classes. But since Kassie will be getting up to give it with me, makes me feel not so nervous. I think my group will do a great job on giving the presentation, we have nice slides and good information. Good job Shelby, Preston and Kassie, we did a fabulous job! All the kids in the idea hive classroom took a survey. The survey was about us, so that we could all get to know each other better. Now that we have finished the survey, we have all looked at the results and now we have to answer some questions about it. One thing that we all have in common is, we all brush our teeth. There wasn’t an answer that we all answered the same. Something I have in common with most is, most of the people have there favourite website as Facebook. The people who’s favourite website is Facebook are Savannah, Karidrap, CassAdam, Melimast, Logaheme, DylanW, AlysHuff, Isaac, Tannmcar, Tannlewi, Dylasche, Justschi, Tegagric, Cassidy, Syd, Juli, Katelyn, Kassie, Logan, Mercedes, Madisyn and Chantal. Something I have in common with only a few people is, having a family guy as my favourite t.v. show. The people I have this in common with are Willpark, Tannmcar, Kelly, Jordan and Lyndon. Something that is unique about me is, I’m the only one who has a nickname as Joannie. I am also the only one who wants to be a helicopter pilot. The person that I think is the most like me is AlysHuff because we both have dogs, we both like pretty little liars (sorry forgot to put it down as my favourite show!) , we both want to go to Mexico, we both like watching hockey, we both brush our teeth at least twice a day, and love Facebook. My question that I still wonder is, do you guys go snowmobiling in Wingham a lot? My passion would have to be anything to do in the summer. 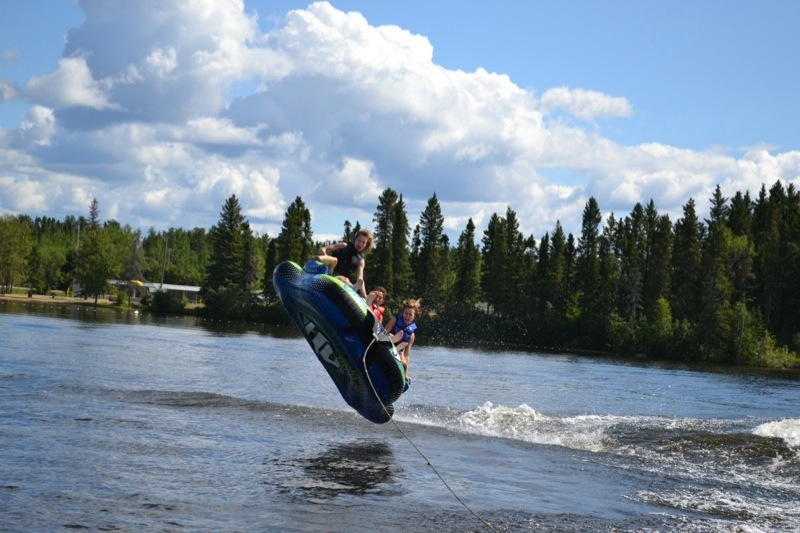 I love to tube, which I did a lot of this summer. I went tubing a lot with my friends and sister. 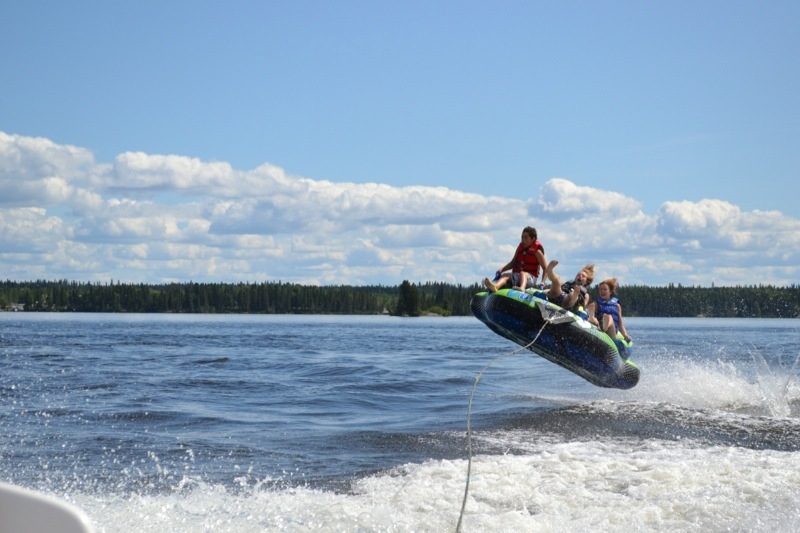 My sister bought a Nikon D3100 this summer, so we took a lot of amazing pictures of tubing. Some of the pictures we took look crazy! Tubing is so much fun, because it’s scary. Another thing I like to do, which is in the summer is swim. I love to go swimming with my friends and cousins. I went swimming a lot when my cousins were here from Newfoundland. I also did a lot of swimming when my friends from out of town were in. I like swimming because it is refreshing, and it’s exercise. I especially like swimming in my backyard. My backyard, is the lake, its pretty cool! So when I get cold from the lake, I just run up the small hill, and go into my hot tub. My hot tub is outside, just off the deck. Another thing I like to do in the summer is go fishing at Burntwood. Burntwood is my families lodge. My sister, Jamie, went out there this summer and worked there. So while she was out there my cousins and I went out there and visited her. It takes about 20 minutes to get out there by plane or helicopter. I also like to play sports in the summer, like volleyball. This summer I played volleyball with my friends in my backyard, which was lots of fun. We also jumped on the trampoline a lot! I also went in our paddle boat with Shelby, Brady, Nicholas, Logan and my sister a lot! It was so much fun swimming off of it. I love summer, and all the thing to do in the summer. I also like winter, but I like summer is better!